Linux es un sistema operativo libre con gran demanda en el campo laboral. Por ello es usado por diferentes empresas que apuestan cada día por él. HIWOOK evalúa tus conocimientos teóricos y prácticos sobre Linux. Para ello, se han diseñado una Prueba de Selección con siete niveles. El idioma de la prueba es el inglés. 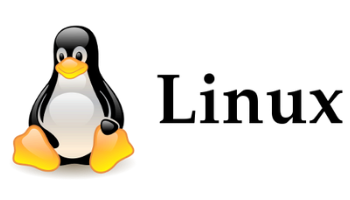 A user have to go through introduction, architecture and basic commands of the linux system. A user has strong understanding about the files, directory, filters and concept of both regex & swap. A user is capable to create the user accounts in linux environment as well as groups and manage the file ownership. Topics: Linux user account, su, User management, password, groups, file ownership. A user has strong understanding about the linux shell and networking. User can easily implement the operators as well as argument in linux. Topics: Linux shell, argument, alias, local operators, control operators, file globbing, linux networking. A user is capable to understand the system Admin command and handle the linux system through admin command. Topics:-Topics: Network bonding, System calls and linux commands. In Advanced level 2: a user learnt about the different variant in linux, centOS,ssl, ssh, backup strategy, firewall and volume management. Topics: Linux variant, introduction to centOS,ssl, ssh, backup strategy, firewall, package management and volume management.